Do you like to play endless fast motorbike racing game 2018? Ifyesthen get ready for real life super fast moto racingexperience.FastMoto rider is a fast paced racing game. control yourmoto throughstreets packed with real life traffic and thematiccars. Feel thethrill of authentic racing action in ultra mototoday!Ride yourmoto in the endless highway roads overtaking thetraffic, upgradenew bikes to beat the challenges. In this mostpopular moto ridergame, you have to go beyond the traffic cars,trucks, buses, heavytrailers, etc., to get gold coins to buy themost beautiful andpowerful rider moto. Enjoy very attractive andbeautifully designedbike racing tracks. 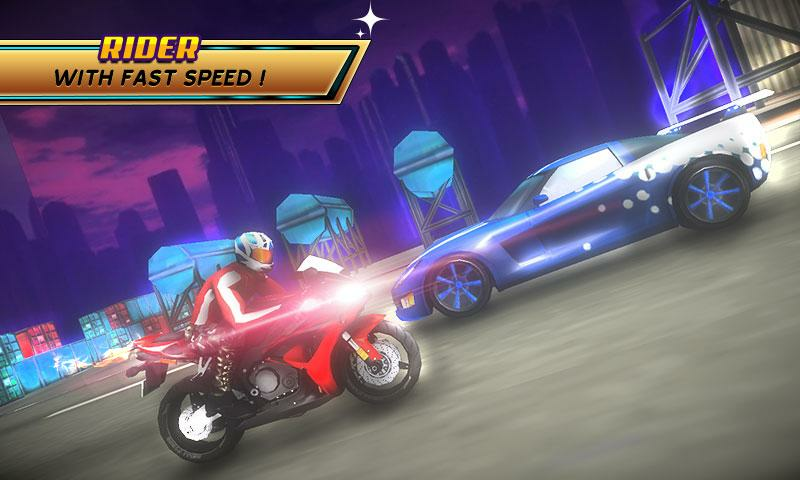 Fast moto rider will giveyou an unbelievablebike racing experience! 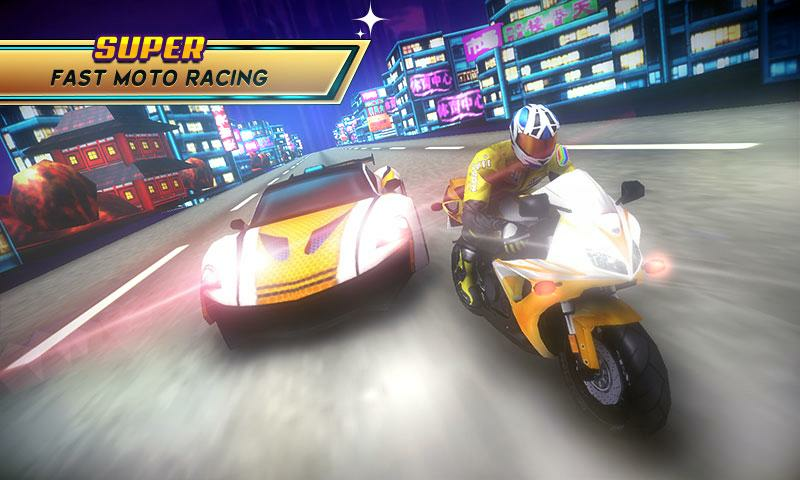 MotoRider brings to youone of the mostcompelling traffic moto racing experience in theworld! Controlyour moto with incredible fast speed during trafficrush time! Havefun dodging cars and trucks while you speed up tothe limit. Getthe best racing moto and beat everyone in thisamazing moto racinggame. 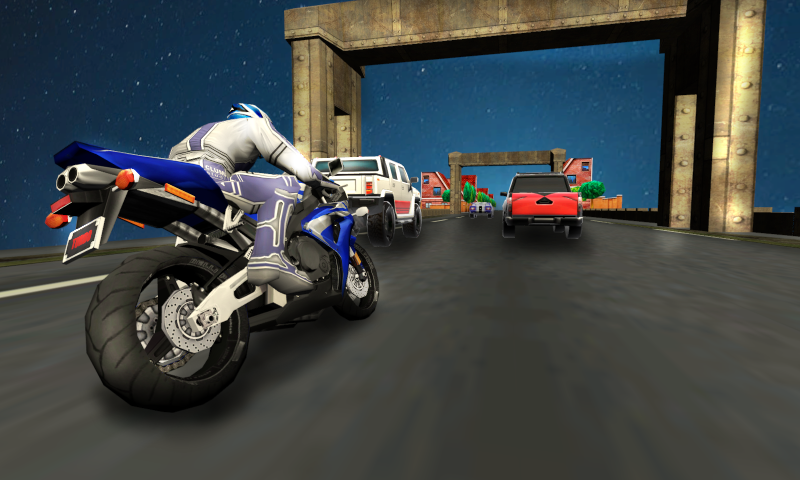 Dodge traffic, increase your speed andscore in this fastmotorcycle racing challenge. 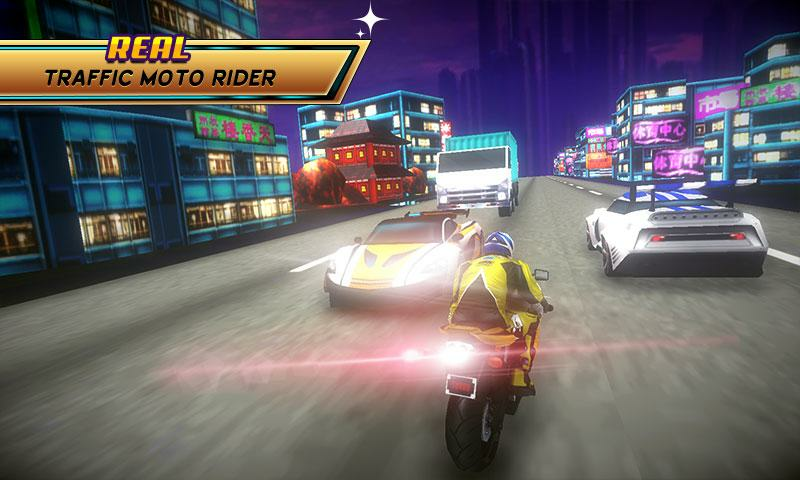 Be ready to be areal trafficmotorbike driving in the city highway this best bikefast speedmotorider game.Fast Moto Rider Features:- Enjoy real fastbikeracing- Lots of bikes to choose- Fast boosts reach crazyspeed!-Real moto racing life in traffic- Endless speed motorbikefun-Realistic motorbike drivingEnjoy feeling super speedy motoracing!Download fast moto rider now! US Army Mission 2019 is the best commando battle game that is allabout shooting and survival with your strategy. Enjoy thrillingarmy commando mission based game with modern commando combat zones.Enemy has taken your land and they make their camp and makingtrouble in your country. You are only last person left from yourforce. It’s your challenge to kill enemies before they kill you andtake back your land from enemy and become a last commando snipershooter. Digital radar system, which you have, shows the locationsand movements of enemies. They already got information about yourmission and they are ready to kill you. The mission you are givenis very hard and risky, enemies and artillery Play up to excitingelite one man missions. The gun automatically reloads when you runout of ammunition. As an army commando, use your specialized snipershooting skills to survive in an offensive attack of terrorists.You can move the sniper anywhere and tap to shoot the enemies andGunship Helicopters with variety of weapons and limited time.Be-careful, there are some soldiers also attacking you in radarrange. In this Commando Sniper War you have assigned adventurousshooting missions with increasing difficulty level. You have justbeen dropped in a very hostile enemy territory with a large forceto attack for your last survival attempt. Gather up your firstweapons and ammunition for this battle and become a last commando.Stunning game graphics and smooth game play will take you to reallife battlefield zone. If you’ve quick reflexes and excellentaiming and sniper shooting skills then find your way out of enemy’sarmy place. You are equipped with advanced weapons assault rifles,machine guns and sniper gun. Use these guns to become a assassinshooter. You will welcomed enemy assault shooter rangers and yourmission is to kill all of them. Features: - Realistic 3D snipershooter Battle environment - Radar vision to locate the enemiesposition - FPS secret us army commando missions - Easy GUI andcontrols - Variety of weapons - Easy tap to shoot and kill theenemies Get ready to face the terrorist attack on army base with noone other here around to help in this elite assassin sniper 3dshooting games. Are you ready to drive High Speed Monster Truck on impossibletracksor mega ramp and skilled enough to master in impossibletrack &destruction. You will drive your monster truck ondifferent highimpossible ramp tracks. Get behind the wheels ofthese massivevehicles and perform gut wrenching stunts. Rotatearound in themonster trucks and become the stunt champion. In thismodern monstertruck stunt impossible track game, you will driveyour expertmonster truck 3d on big ramp tracks. These crazyimpossible monstergames will give you high entertainment with itsappealing graphics.In this Monster truck racing game, you willenjoy the truck racing,truck parking, and truck driving in thisHigh Speed Monster TruckStunt racing game.In this 3d grand monstertruck stunts driver gameyour duty is to accept difficult off-roadchallenges and take a rideon different awesome real highimpossible monster truck stuntstrack. In this crazy monster busfree game, we will give yourealistic game play atmosphere with itsstunning dangerous anddifficult ramp tracks. These crazy newmonster truck stunt games2018 will give you limited time tocomplete your level. In this realmonster truck stunt tracks 3dgame, be careful during drive onimpossible tracks. If any singlemistake happens then you will facehuge destruction.In this monstertruck stunt game 2017 game, we willgive you a golden chance todrive real monster truck destruction onbig height ramp impossibletracks. These real monster truck nitroimpossible games will giveyou friendly user interface. In the pasttime you might have playedmany new monster truck stunt games 2017,but this heavy dutymonster truck is different from those games. Inthis real monstertruck impossible track free game, we will give yousensitive touchdisplay brake and accelerator pedal icons. These newmmx hill climbmonster truck games will give you everything in oneplatform. Youwill drive your best new offroad monster truck onmid-air ramptrack that are sky high. These modern impossible trackdrivingmonster games will also give you tilt screen option. Comeanddownload this real monster truck 3d: monster truck games. Do you like transforming robot games? Play the best 3D shootinggameWar car transformers from robot fighting games. It is the newera ofrobot shooting games so here it comes the real car transformrobotgame the master of all robot shooting games. You would haveneverseen this eccentric summation of real robot car with robotfightinggames. This futuristic robot battle would become abenchmark for thefans of robot games those desire sheer exposureof robot cartransforming and robot fighting games. This brilliantcar robot wargames will definitely give you the pro practice ofbest FuturisticRobot Battle 3d. Car Transform Superhero is one ofthe best newgeneration transformer robot games. This futuristicrobot battle2019 war robots will give you the 3d robot fightexperience. In thisstunning transform robot game, you’ll test yourcontrolling skillsof both robot simulator and robot car. This is anew kind of robotwar games where you will feel like in futurebecause of this newrobot fighting games with new Combat Style. Inthis robot car gamesnew and free futuristic robot battle games youwill face dramaticrobot games fight 3d. If you like robots, supermachines, robotgames, mech games, and best fighting games you willlove Futuristicrobot battle game war robots. The gameplay of therobot game ispretty simple, you will fight against other battlerobots to saveyour city from fighter robots and their roboticvehicles and finishthem to get access to next level. A saviorrobot of the 3D shootinggames world who has the power to use lasershooting. You can firemissiles and ultimate machine fire shots inthis futuristic robotbattle game. This action-packed robot wargame is insane and awesomeand perfect synonym of a robot, robotgames, super machines, combatgames, and best fighting games. Hitdownload and jump into thefuture of robot fighting games! RobotCar Transformer Games 2019:War Robots Features: • Dynamic robotcombat game with environmentWar Robots • Real 3d Graphics andenvironment • Amazing, Thrillingand Stunning gameplay levels withwar robots • Take the monitoringof an intelligent mech robot •Transform car into Robot and Robotinto the car • RealisticTransformations • Stunning Bike Physics •Beautiful landscapes Youwill enjoy the features of all other robotfighting games and robotwar games. You will definitely love thisfuturistic robot battle2019 war robots because now we have addedthe savor of both robotgames fight 3d and car robot games 3d withhaving extreme robottransform battle. So get ready for the king ofall car robot games,War Robots, The One and Only the REAL CARTRANSFORM ROBOT GAMES! It’s Amazing Adventure and full entertainment runner game forallages. You need to play tap or double tap to jump and collectthefruit and powers and much more. It’s an amazing adventuregame.There is two power-up like gun and shield. Your job is tosaveSuperboy from the obstacles. Collect coins and achieve thebestscore. Superboy Run is an endless running game, there areshieldpeels, stones, and loins as the obstacle. Speed and obstacleswillbe increased by the play time. Superboy Run Game Features:•Adventurous endless runner game • Real 2d Graphics andenvironment• Totally Free game • Very easy to play Download thebest Superboyrun available in the best running games. Do you like transforming bike robot games? Play the best 3Dshootinggame War bike transform robot Game from robot fightinggames. It isthe new era of robot shooting games so here it comesthe real policetransform robot game the master of all robotshooting games. Youwould have never seen this eccentric summationof real robot bikewith robot fighting games. This futuristic robotbattle would becomea benchmark for the fans of moto robot gamesthose desire sheerexposure of police robot bike transforming androbot fighting games.This brilliant moto robot war games willdefinitely give you the propractice of best Futuristic RobotBattle 3d. Police TransformSuperhero is one of the best newgeneration transformer robot games.This futuristic robot battle2019 war robots will give you the 3drobot fight experience. Inthis stunning police transform robotgame, you’ll test yourcontrolling skills of both robot simulatorand robot bike. This isa new kind of robot war games where you willfeel like in futurebecause of this new robot fighting games withnew Combat Style. Inthis robot bike games new and free futuristicrobot battle gamesyou will face dramatic robot games fight 3d. Ifyou like robots,super machines, robot games, mech games, and bestfighting gamesyou will love Futuristic robot battle game warrobots. Police WarRobots Transformers Superhero is an amazing blendof robotmotorbike riding, robot transformation into bike, criminalcarchase and car destruction adventure. There will be an epicpolicerobot transformation into heavy police bike with super firingpowerthat will destroy the criminal squad in the car completely.Ifyou're excited to futuristic moto games and robot games youwillenjoy playing Police moto Robot Simulator. Your police motoisequipped with a special modern weapon to aim and shoot theopponenttransformable robots, missed in any other police games.Become anexpert police robot shooter and eliminate criminal warrobots fromthe city. 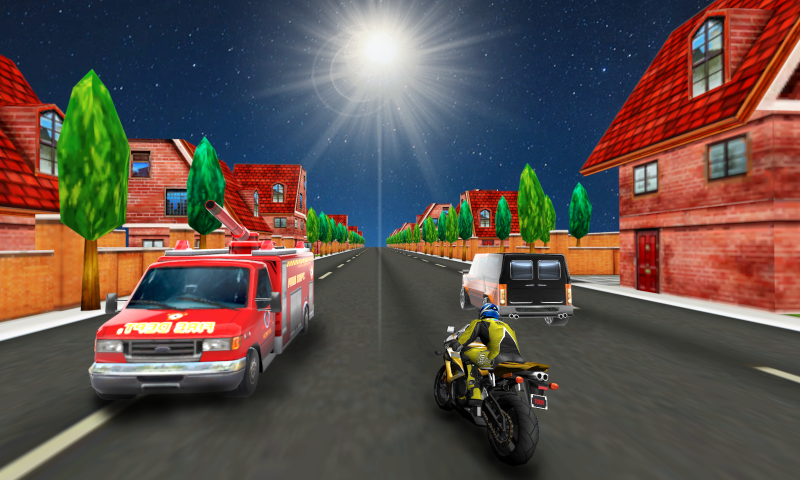 Download this police robot moto SIMULATOR andenter intothe world of excitement. The gameplay of the robot gameis prettysimple, you will fight against other battle robots to saveyourcity from fighter robots and their robotic vehicles and finishthemto get access to next level. A savior robot of the 3Dshootinggames world who has the power to use laser shooting. Youcan firemissiles and ultimate machine fire shots in this futuristicrobotbattle game. This action-packed robot war game is an insaneandawesome and perfect synonym of a robot, robot games,supermachines, combat games, and best fighting games. Hit downloadandjump into the future of robot fighting games! Police MotoWarRobots Transformers Features: • Dynamic robot combat gamewithenvironment War Robots • Realistic Transformations • Real3dGraphics and environment • Amazing, Thrilling and Stunninggameplaylevels with war robots • Realistic Transformations • Takethemonitoring of an intelligent mech robot • Transform bike intoRobotand Robot into the bike • Beautiful landscapes • StunningBikePhysics You will enjoy the features of all other robotfightinggames and robot war games. You will definitely love thisfuturisticrobot battle 2018 war robots because now we have addedthe savor ofboth robot games fight 3d and bike robot games 3d withhavingextreme moto robot transform battle. So get ready for theking ofall moto robot games, War Robots, The One and Only thePOLICE MOTOWAR ROBOTS TRANSFORMERS! Are you ready to begin your furious little bike racinggames?Control the green and the yellow bikes racing at the sametime. Tapto change your drift direction. Ultimately, it tests yourreflexesagainst time and movement. Tap..Drift..Easy? 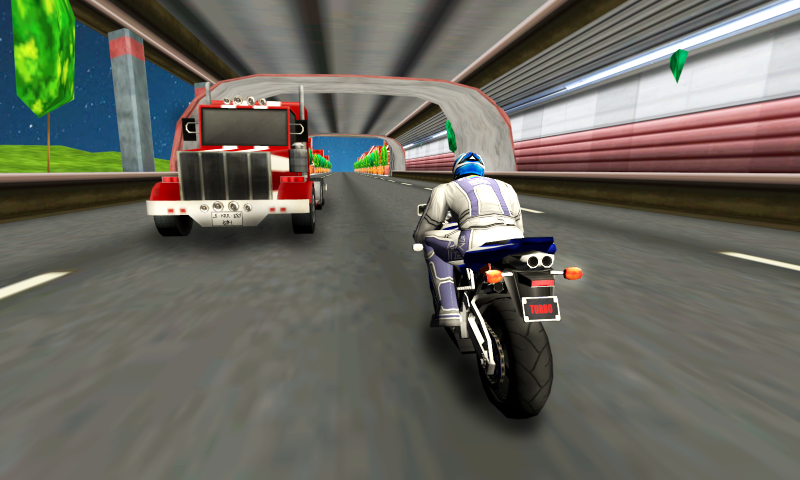 It is one oftheaddictive adventure bike games. In this little 2 bikes racinggameCollect all the triangles and avoid the hexagons. Collectpoints,gain the best score in global ranking and challenge theworldwideplayers. The thrilling action of 2 bikes free and funracing game.